Nestled on 500 acres in the lower Hudson Valley of New York state lies (lay?) the undulating hills of Storm King Mountain, where a majestic open-air museum sits in Mountainville. For fifty years, this unassuming treasure has been celebrated as one of the world’s leading sculpture parks. Filled with woodlands, wildflowers and lush, native meadow grasses like switchgrass, bluestem, purple top tridens, Canadian wild rye, and sideoats grama grass. The grass, hearkening back to landscapes of the Romantic Hudson River School is such an integral part of Storm King that a “tall grass program” has been implemented for over nineteen years by landscape architects. Storm King Art Center’s distinguished collection comprises more than 100 sculptures by some of the most acclaimed artists of our era such as Alexander Calder, Claes Oldenburg, Louise Bourgeois, Bruce Nauman, Nam June Paik and more. 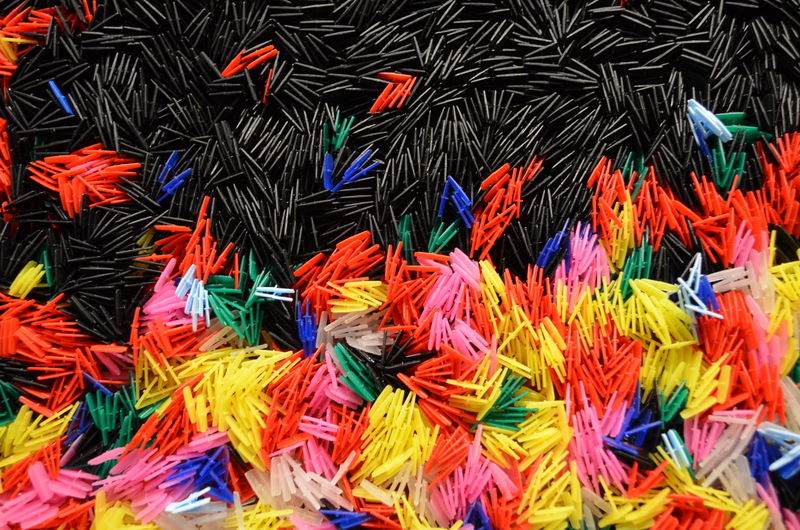 Works at Storm King encompass the years from post-World War II to the present. 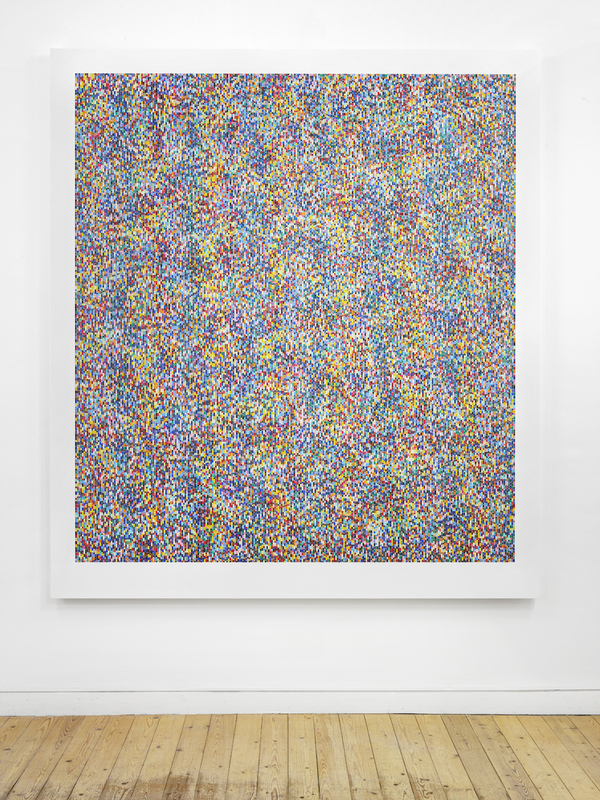 It obvious that the curators focused on large-scale abstract sculpture. Towering in the meadows, almost looming behind leaves, stand steel anaglyphs, different from all angles, and giant mechanical simulacra like faux oil rigs across Texas. 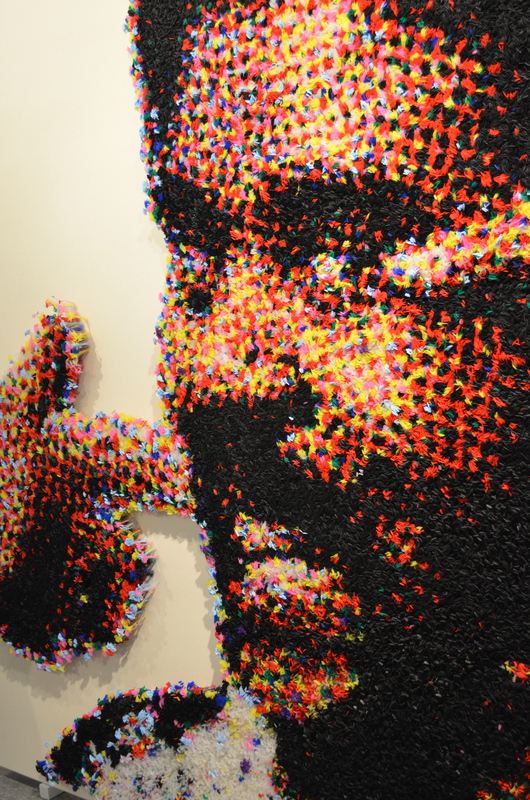 The collection also includes figurative work and sculpture in stone and earth itself. A strange sort of time travel occurs when leaving NYC and traveling north. One passes the remnants of colonial America, its first battlegrounds, Fort Montgomery, tollroads on cliff-sides. One arrives at the park and encounters sculptures like extraterrestrials trying to communicate their nature through objects, or like ruins from an ancient civilization whose language we have lost. Although Storm King was originally envisioned as a museum devoted to Hudson River School, by 1961 its founders had become committed to modern sculpture, and whatever the evolution of that terms mean. Every work is situated with consideration of both its immediate surroundings and distant views, as if the artwork was meant to be one with the land all along. A candlestick is a functional sculpture. 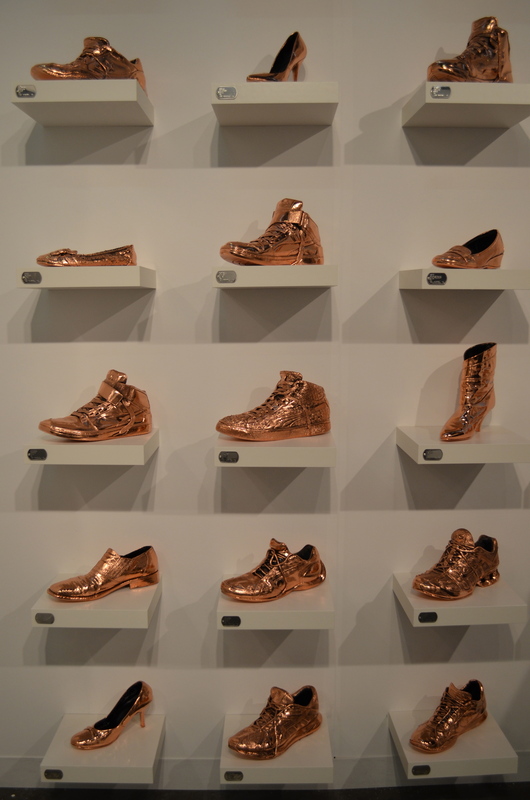 Its color, shape and form can all add to a space dramatically, even though the item might seem slight. Cast a glow on your room with these eight wonders of Prometheus. 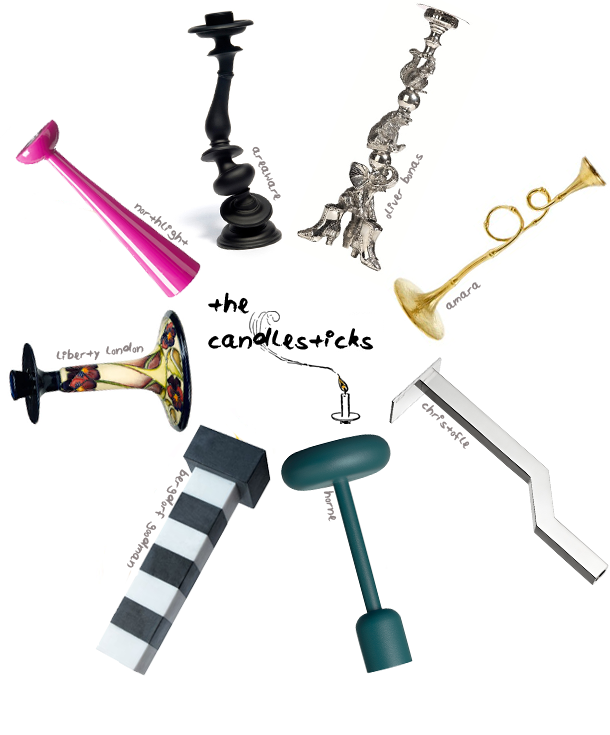 Clockwise, from the top, black candlestick: Areaware Resin and Marble Distortion Candlestick – $24.00 // Nickel Circus Animal Candlestick – $272.56 // Evoca Gold Plated Pair of Candlesticks, L’Objet – £375.00 // Sliver Plated Arborescence Candlestick – $870.00 // Nappula Candlestick in Sea Blue, Iittala – $39.00 // Kelly Wearstler, “Memphis” Marble Candlesticks – $735.00 // Cosmos Neon Pink Candlestick, SuperLiving – £21.00 // Moorcroft, The Dames’ Pansy Candlestick – £435.00. 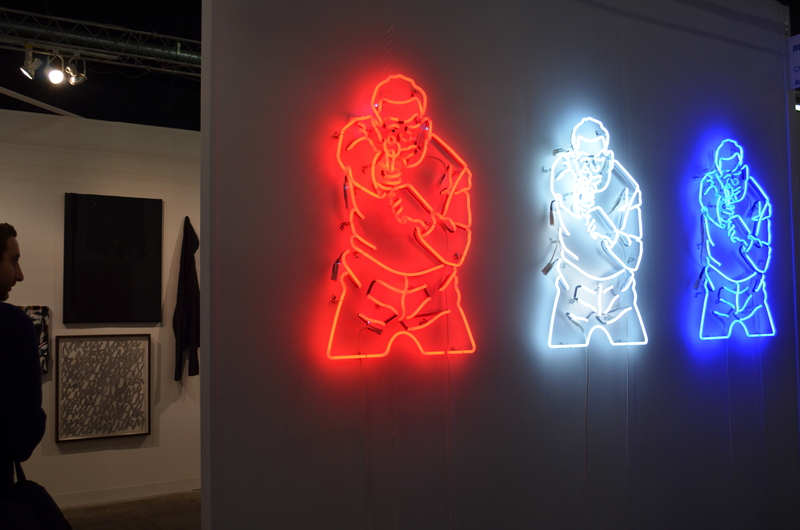 Every March, like the migration of strange Monarch butterflies, artists, galleries, collectors, critics and curators from across the globe make New York their destination during Armory Arts Week. 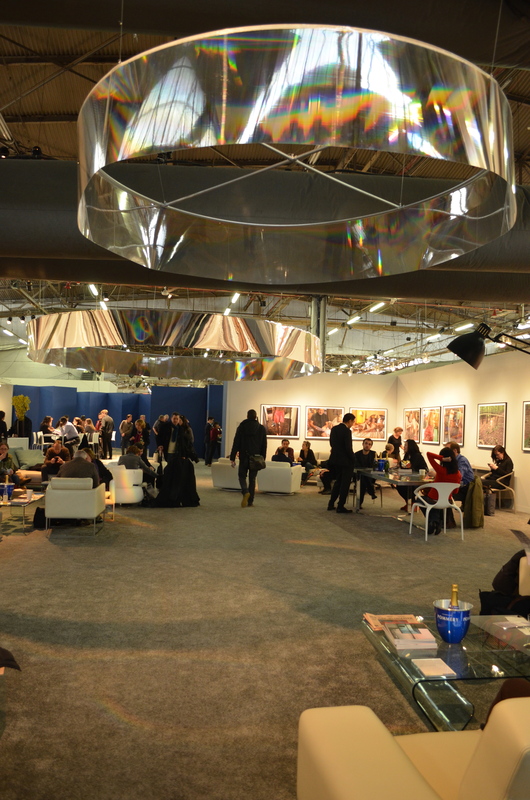 From March 7-10, 2013, stationed at the Chelsea Piers 92 & 94 overlooking the Hudson, a hangar’s worth of creativity bustles in the largest NYC art fair. The fair has changed locations since its inaugural 1913 debut – from the East Side to Chicago to the Cincinnati Art Museum to Amherst College – ultimately that its coming back to its roots. 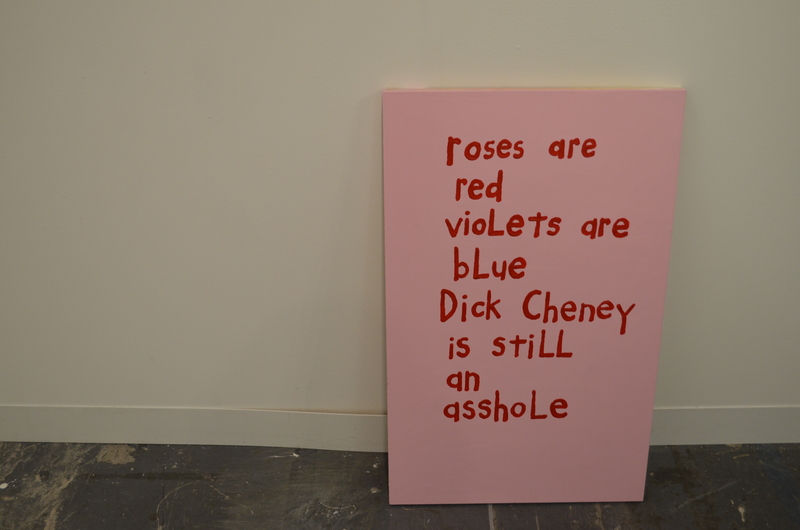 The piers at the Armory Show, now designated as Contemporary and Modern, are devoted to showcasing the most important, notorious, and emerging artworks of the 20th and 21st centuries. 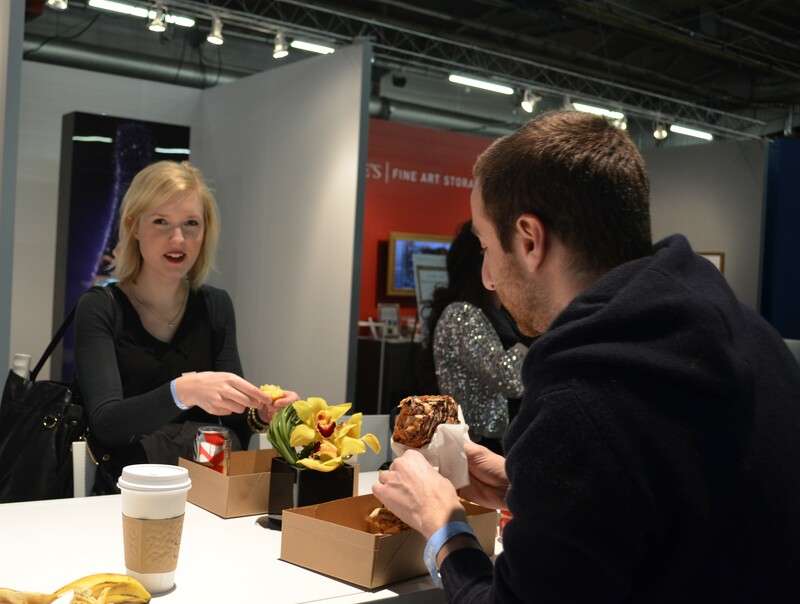 My friends Max and Erica enjoy a Pain au chocolat, muffin, Diet Coke and Coffee in the VIP Lounge fitted by Roche Bobois. The Hudson River on the West Side of the island was once central to to the city’s trade and transportation infrastructure. With the success of the auto industry, American’s reliance on waterways diminished and all-but-halted. Businesses at the piers closed down and many structures were left to decay. The desolate, vacuous spaces could be dangerous territory but also offered temporary homes to various artist projects, the most illustrious, perhaps, being Gordon Matta-Clark’s iconic Day’s End on Pier 52 in 1974. 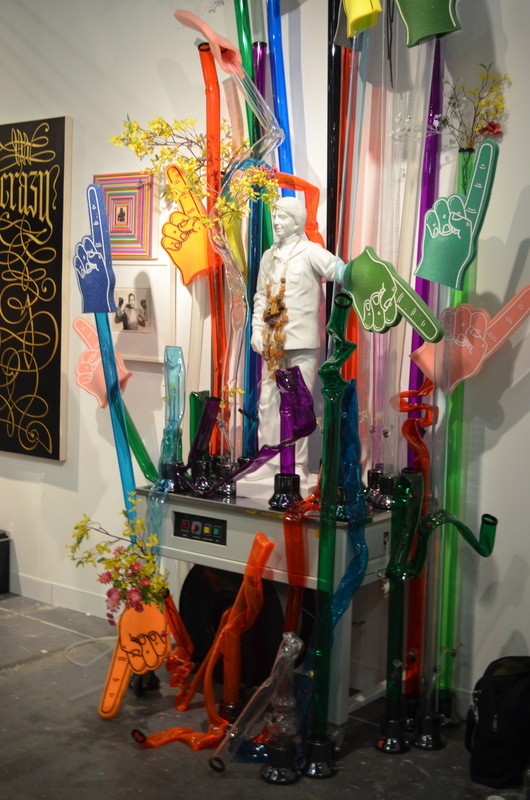 Samsøn Projects of Boston had a booth arrayed with bongs, Carl Sagan and retail price tag fastener, featuring the works of Todd Pavlisko. 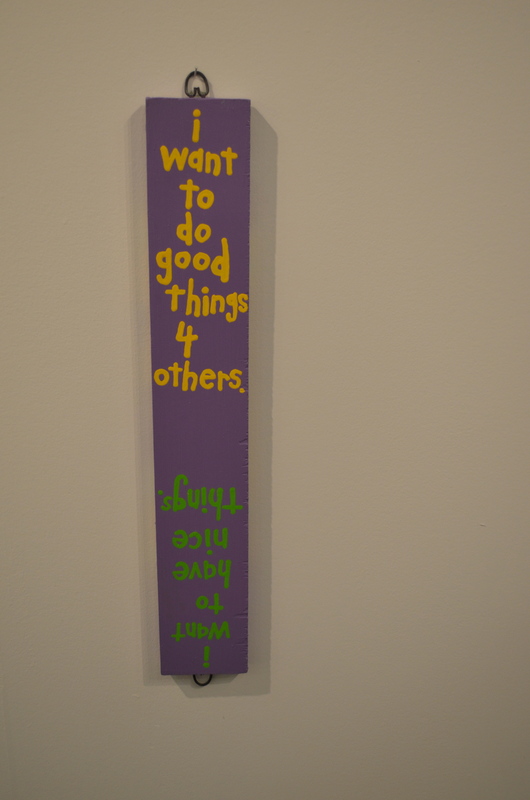 Peter Liversidge’s presented by Ingelby Gallery, London. 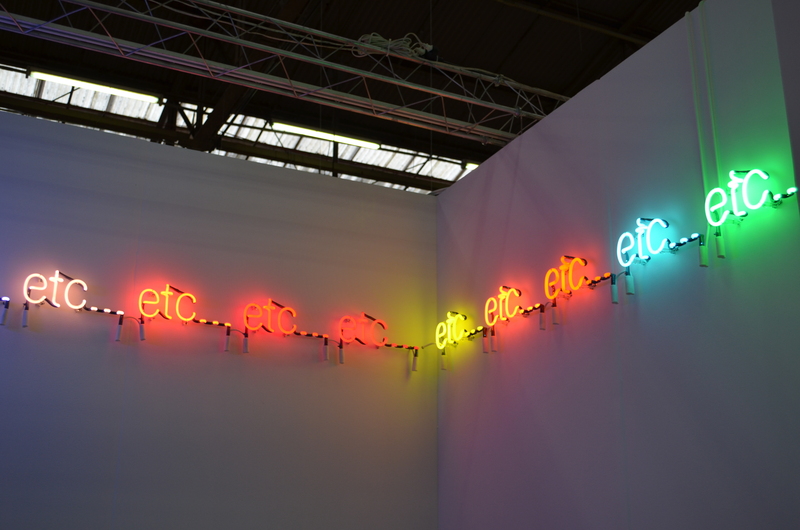 Etc, 2011, neon. Remember the seen from The King and I? Etcetera, Etcetera, Etcetera! Destined to be a new Penguin Classic: Love Kicked Me Down (Where I Belong) by Harland Miller. 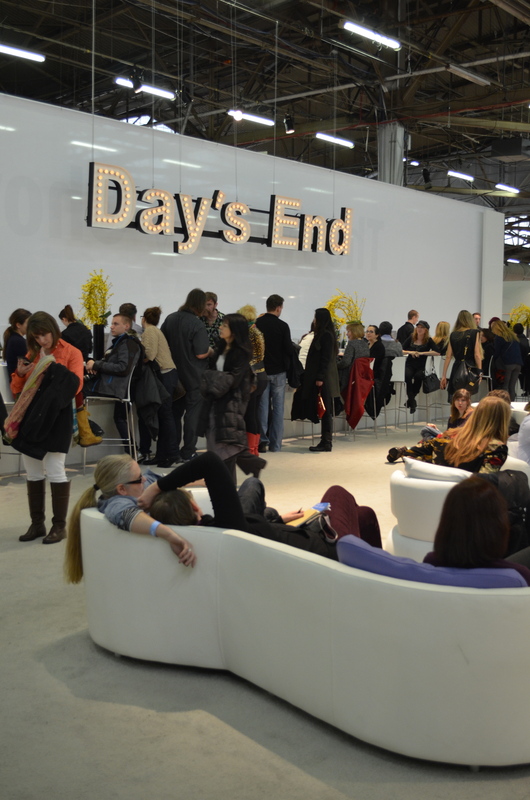 The “Day’s End” Champagne Bar at the Armory Show Contemporary section. Little did you know that this Pommery Champagne bar is steeped in art history. The special light-bulb sculpture Day’s End, 2013, is site-specific installation by Peter Liversidge that references an eponymous work by Gordon Matta-Clarke on pier 52 from 1974-75; and Marcel Duchamp & Ulf Linde – Posterity Will Have a Word to Say, a special tribute to the 100th anniversary of the 1913 Armory Show, curated by Jan Åman. Drink up. 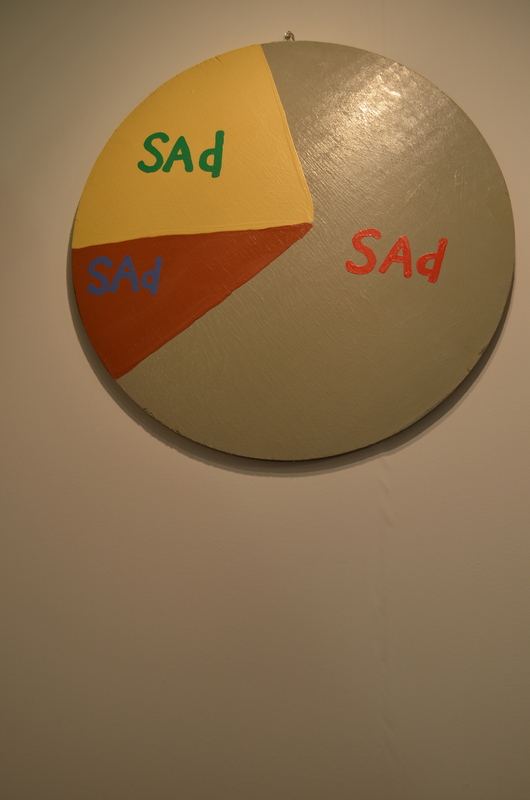 Cary Leibowitz’s installation from Invisible Exports was a little too on-the-nose with its pessimistic yet honest take on pie charts, cliches and children’s rhymes. 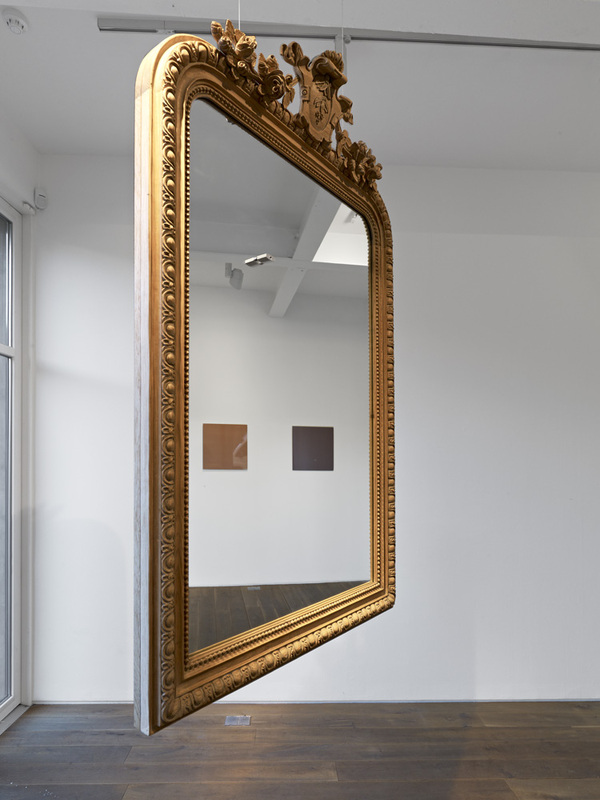 Kevin Harman, Forever, 2012, mirror, carved oak frames, padlock 137 x 88 x 26 cm. INGLEBY GALLERY. James Hugging, Binary Rhythm (III), 2012, oil and wax on wood, 189.5 x 169 cm. INGLEBY GALLERY. Brian Calvin, Can With A Landscape (Robin), 2009. The otherworldly, martian quality of the artist’s portraits is ominous. 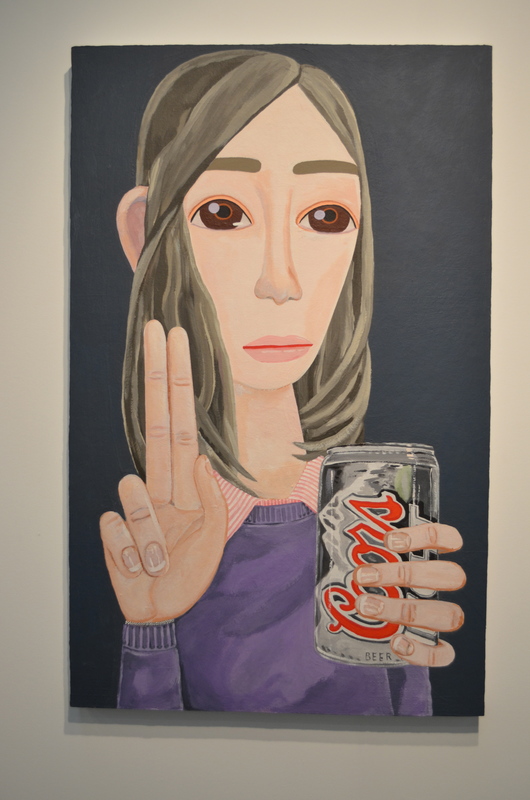 Alex Katz’s influence on Calvin seems obviously delightful.